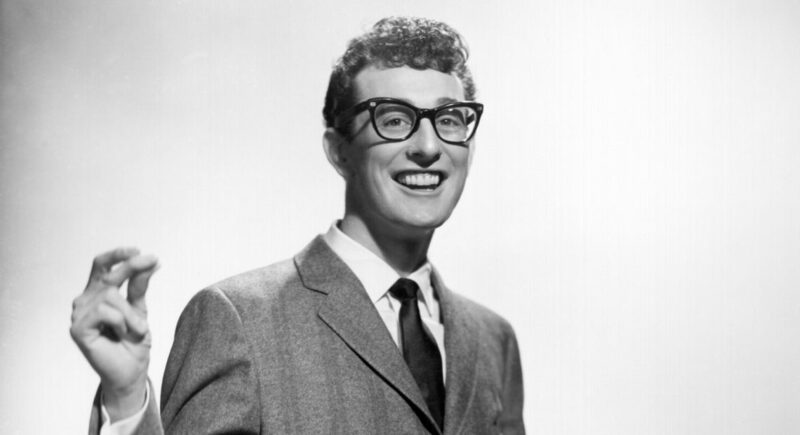 On Feb. 3, 1959, at only 22 years old, Buddy Holly left this world as one of the founding fathers of rock and roll. Now, 60 years after the crash that killed Holly, Mexican-American star Ritchie Valens and The Big Bopper — or “the day the music died” — Holly’s high school classmates from Lubbock, Texas, remember the young musician in the years before his rise to fame. In the early 1950s, Lubbock High School student Betty Dotts was into music. She sang with Buddy Holly in the school choir and knew he had grander ambitions. However, she was skeptical when she heard him play. “I thought ‘Oh my goodness, that’s not very good music,'” Dotts says. In 1953, Nelson and Holly faced off in a song contest. Nelson’s tune, “Someday You’ll Pay,” won. “It’s the only thing that I’ve got in my life that I could brag about,” Nelson says with a laugh. After high school, Holly threw himself into pursuing a music career, but his success was cut short the day of that infamous plane crash in Iowa in 1959. Holly was 22. It would be almost 20 years when the 1978 movie, The Buddy Holly Story, was released before the city came around. Today, Holly has a park with a bronze statue of him, and a street and a museum named after him in Lubbock. The Crossroads of Music Archive at Texas Tech University also houses the research of the late music historian Bill Griggs, who assembled a thorough accounting of Buddy Holly’s life — every day of it. Lubbock is still making up for lost time. Construction is underway and the Buddy Holly Hall of Performing Arts and Sciences in the city’s arts district and its slated for completion next year. Not a bad legacy for a guy whose classmates didn’t think he’d amount to much musically.